There are lots of paid search management companies which are able to help you with your pay per click advertising, however few of those companies can compete with the paid search management services offered at Webrageous. The following information includes no less than 25 reasons why you should choose Webrageous as your paid search management provider above all the rest. After reading this article, if you would like more information about the paid search management packages offered at Webrageous, please contact us directly at 800-645-9521 or fill out the short contact form which can be found on our website. Not all paid search managers are Google AdWords Qualified, but those working at Webrageous are. We have been working in paid search management since the early days of the industry, which is why we are incredibly experienced and knowledgeable about the minute details of any type of paid search campaign. You can choose to advertise via any kind of advertising network when outsourcing your paid search management to our company. With Webrageous, you will not feel like a number in the midst of many other nameless clients. Webrageous prides itself on its personal approach to paid search management and we enjoy the fact that we keep our client to paid search expert ratio as low as possible. Webrageous first began as a website design company which means that our paid search management specialists are incredibly effective at landing page optimization and improving conversion rate once the potential customer finds his or her way to your website. Our paid search management services cover all kinds of campaigns for all devices and networks, which means that we can be very versatile and we can clearly match all advertising decisions to the specific requirements of your business. The knowledge that we have of SEO and social networking helps us to make further improvements to your paid search marketing campaigns. All our paid search management experts have at least an undergraduate degree in Marketing. With access to our personal Google AdWords Representative, our clients benefit from direct contact with the specialists at Google and this helps us to provide solid paid search management services to all those who need help running an online marketing campaign. All NGOs benefit from the paid search management services we offer because of the experience and success we can already lay claim to in the sector of Google Grants. No one else in the industry offers this that we are aware of. Webrageous is an expert in paid search management for lawyers, particularly divorce and personal injury lawyers. We have lots of experience in managing the advertising campaigns for Law firm specializing in pharmaceutical liability and we are well aware of how to reach out to this particular target audience with success. Lots of US companies are reaching out to Latin American audiences via the Internet and our paid search management experts are able to help formulate effective advertisements for Spanish and Portuguese speaking audiences at any time. There’s no better company for the optimization of paid search landing pages. Our professional writers work on online content for SEO purposes, but they also help to form tight advertisement text too. Quality Score is crucial to your paid search campaign’s success and we are experts in the art of link building which is one of the ways of helping to improve your website’s rating. A/B campaign testing is a highly effective way of experimenting with changes that you make to your paid search advertising campaigns and Webrageous is very experienced in the management of these kinds of campaigns. Webrageous does not just manage online campaigns, it is successful at managing those campaigns and upon request we will be happy to share some of those results with you. Click fraud exists and Webrageous knows how to deal with it. 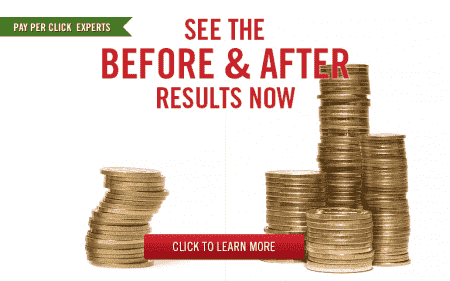 We can spot it when it occurs and we act quickly to avoid any financial loss for our clients. However, Webrageous is also very effective at preventing click fraud too and this is the key to our paid search management success. We are always up-to-date with the latest in pay per click and our clients benefit from our attention to the new and the advanced. The BBB believe that the paid search management we provide is an A+ which is the best possible rating that any business can be awarded. Some advertisers only wish to receive advice and this is why we offer our paid search marketing consulting services too. If you wish to hear what our clients have to say about our paid search management services, click on the link provided.